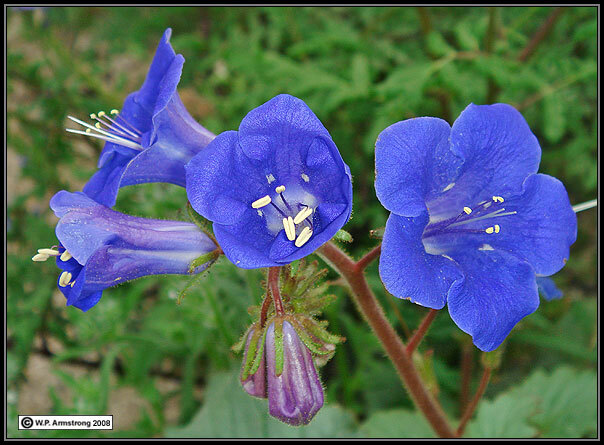 Note: The corolla of this species is described as "bright blue" in the Jepson Manual (1996). I have attempted to represent its true color as close as possible in the following images. 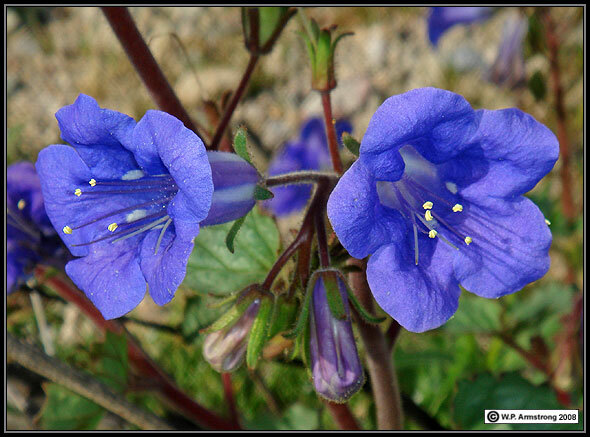 The flowers are bright blue when fresh, fading to blue-purple. 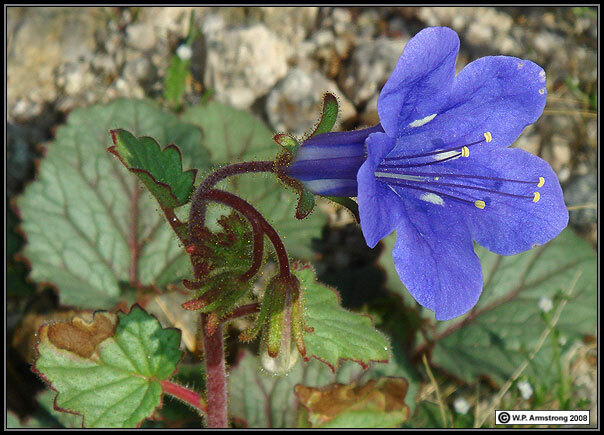 The coastal species P. minor also extends into the desert in Anza-Borrego State Park. 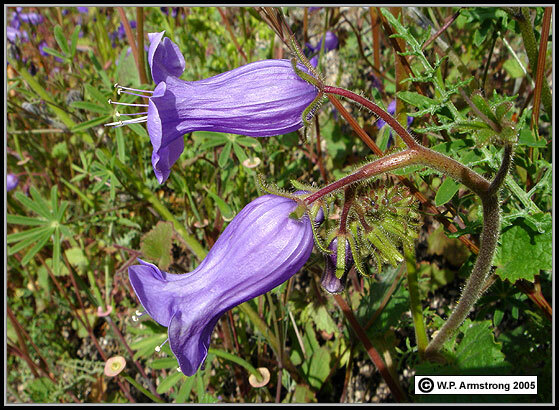 It has similar bell-shaped flowers that are described as "purple" in the Jepson Manual. 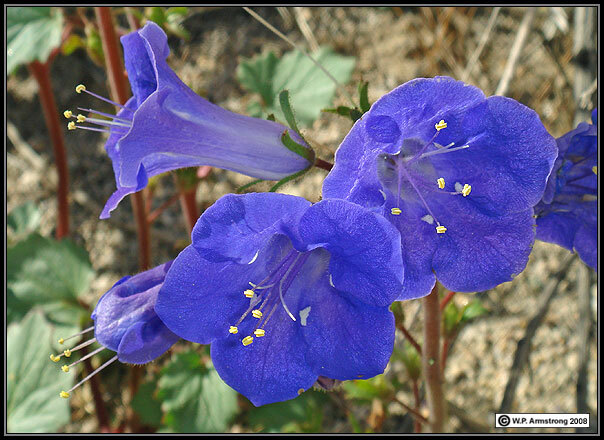 Due to the sensors of digital cameras, type & brand of monitor (LCD or CRT), monitor calibration and Photoshop enhancements, the colors of these flowers may not display correctly in on-line images. 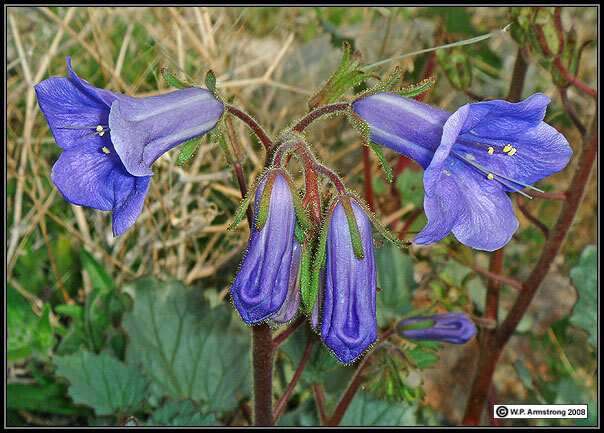 Desert bells (Phacelia campanularia ssp. vasiformis). 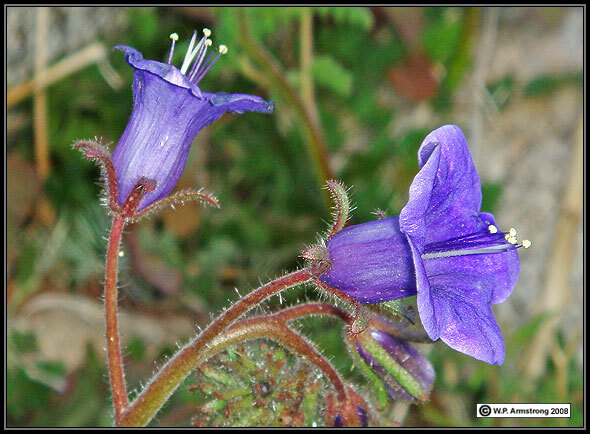 Phacelia campanularia ssp. 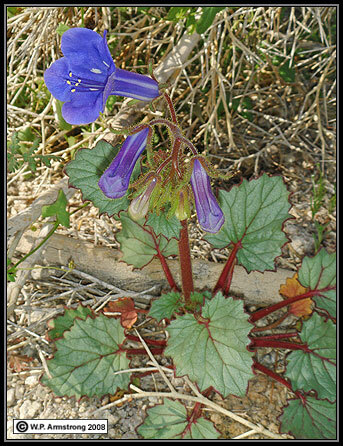 campanularia in Borrego Palm Canyon, San Diego County. 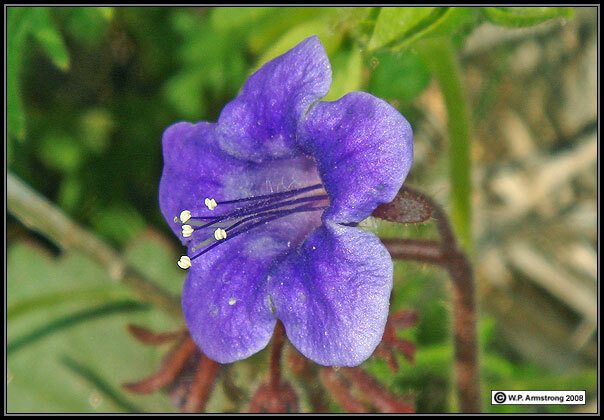 The flower is blue, unlike the purple flowers of P. parryi and wild canterbury bell (P. minor). 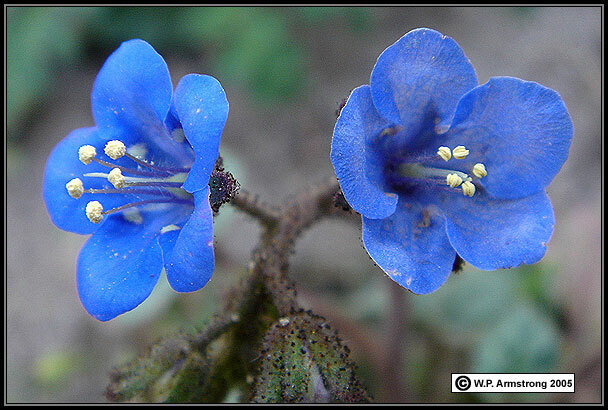 The flowers are the same blue color but not as bell-shaped as P. campanularia ssp. vasiformis. 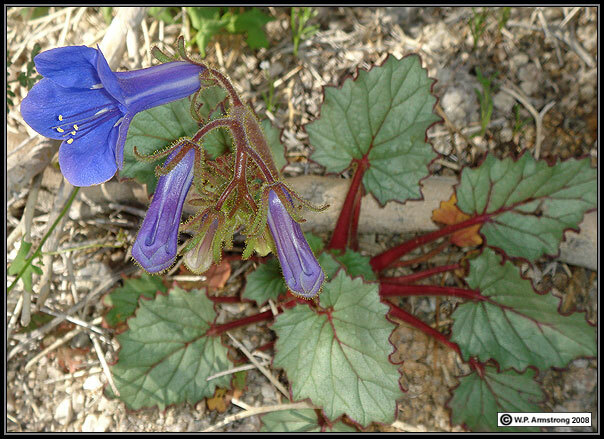 Wild canterbury-bell (Phacelia minor) in Borrego Palm Canyon (6 February 2008). 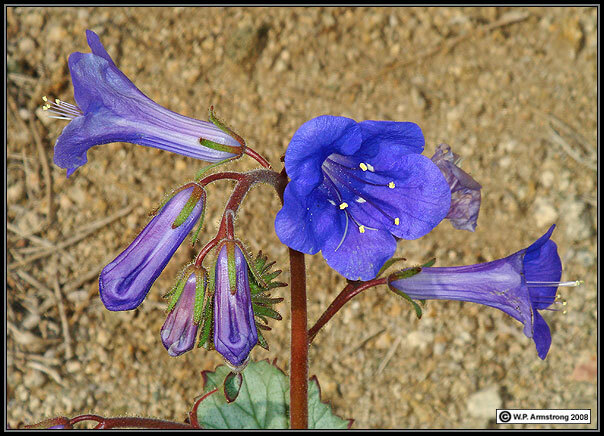 Wild canterbury-bell (Phacelia minor) in a recently burned area of Coastal San Diego County. The upper part of corolla tube is conspicuously constricted. 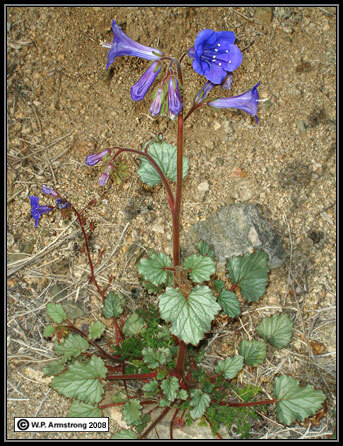 The species is a common post-burn annual.